This article is about the laws for the use of drones in Lebanon. In Lebanon, drones must be registered with the army. 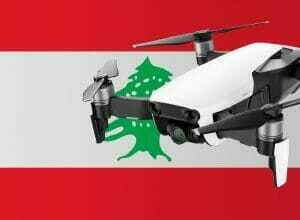 Anyone who misses the registration and still flies with a drone in Lebanon must expect prosecution. When registering you already have to specify where and when you want to operate, what purpose the flights have and which copter (with serial number) you want to use. Also, various documents must be submitted. Costs do not accrue for the permit. Also, unfortunately, the Lebanese Aviation Act hardly contains provisions that directly relate to drones. There are very few rules that arise directly from the law. So it is not allowed to use model aircraft (including drones for private use) in clouds or fireworks. I could not find much more information so far. However, I recommend you to inform yourself before your trip directly to the military and the aviation authority. We have researched the listed drone regulations for Lebanon to the best of our knowledge. We cannot guarantee the correctness of the information. If you want to be on the safe side, contact the competent aviation authority. Alternatively, you can also ask the embassy in your country for further information about the regulations. Please leave us a comment when you receive news and/or gain experience with your copter in Lebanon! Do you know what the process is for taking a DJI phantom into lebanon? what permits are required if any?